We are using this lens in a restaurant, mounted near the ceiling and pointing toward a door about 30 feet away. The zoom capability works perfectly in this situation, and we are able to capture very clear, detailed video. 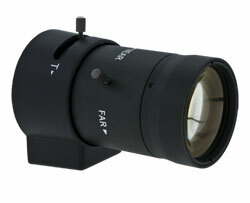 Very good lens for the price.